Recently YouTube launched a new feature called YouTube Premieres that will allow you to engage with your audience to the next level. YouTube will enable creators to create an event for the newly released video. This feature not only for offering great engagement with the audience it also enhances your revenue. How To Work with YouTube Premiere? Have you ever done YouTube Live streaming? If you say Yes, then it will be easier for you work on YouTube Premiere. YouTube Premiere is similar to the Live Streaming on YouTube, but here we first upload the video and then start live streaming enjoy together with the audience. Whenever you are doing live streaming on YouTube, we should concentrate on both the things like live streaming and interaction with the audience. In YouTube premiere you should only focus on audience engagement on live, YouTube will take care of live streaming your video. YouTube premiere is now open to all the users all over the world. Every YouTube user and the content creator can make use of this extraordinary premiere feature for business and personal use. First, open the YouTube account from a desktop computer or a laptop and log in to the YouTube Account. Go to the Video Manager in your Account start uploading the video from your device. 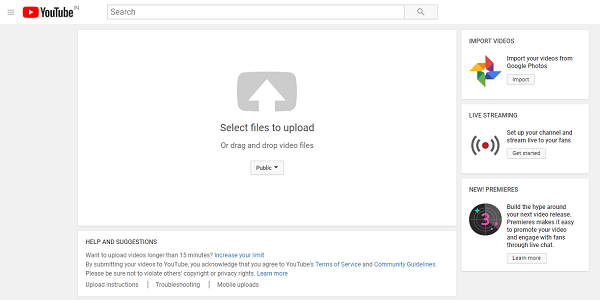 When you are uploading the video just below the “Select File to Upload” you can find Public button. Click on that a drop-down menu of four options displayed. Select the “scheduled “ from the menu. Select and Upload the video to the Premiere. You can see “Premiere” option at the right side of the window. Toggle on the “Premiere” button. Just below the Premiere click on the Public button, a drop-down menu with scheduled option appears. Set the date and time for your Premiere. In the next step start filling the necessary details like Title, description, keywords and finally with eye catchy thumbnail to your video. Once the processing is done click on the “Premiere” located at the top right corner of the window. Now you have successfully configured your premier video. 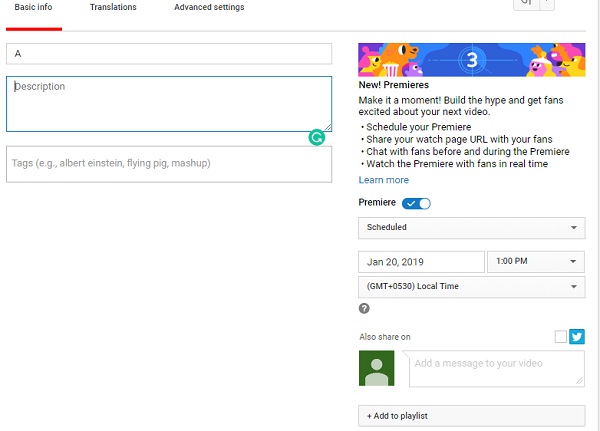 If you selected premiere as a video upload method, it would automatically generate a landing page for your video with a tag of the announcement as the anticipated premiere. During this gap of premiere period people can interact and chat through Super Chat. It is similar to the interacting people through Live chat when streaming is going on. You will get a front page sharing link to share with others through various social media apps. The exciting thing in YouTube premieres is the video stays as a standard video on your YouTube Video list for further promotions. You can watch it at any time. Make sure to use a desktop computer to work on YouTube Premiere. Currently, YouTube Premier working only for desktop computers and laptops, it does not work on mobile versions of YouTube. You can promote Your YouTube premier video using YouTube Live. YouTube Live works on mobile versions also. Make sure to upload and Schedule YouTube Premiere Video at different times and different dates. 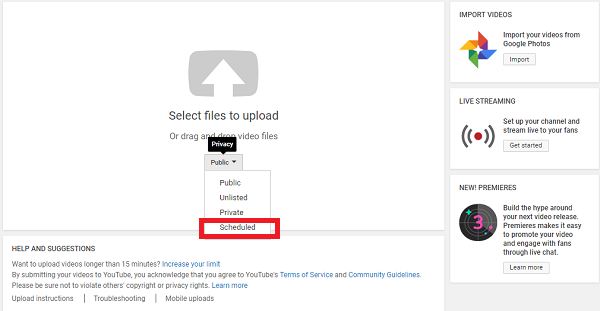 If you upload your premiere video on regular schedules, it does not make any sense. Make sure to schedule on different times and different dates other than regularly scheduled times. Be a part to promote premiere video through public Video Watch page. Start sharing your YouTube Premiere video through public watch pages like social media apps. After scheduling the premiere video, you can share the link through free watch pages. Once the Premiere starts, be on Live to communicate with the audience through Live Chat. Encourage more audience to watch your premiere video by introducing extraordinary thumbnails for your YouTube Premiere video. 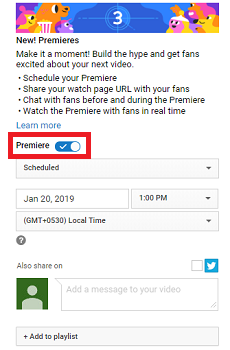 Inform your subscribers and followers to turn on notification to get more updates on your YouTube schedules and premiere videos. Tell your audience and subscribers you will be on Live at the time Premiere video was running to interact with them. Ask them to stay on Live Chat. Every content creator must try this YouTube Premiere for business promotions. 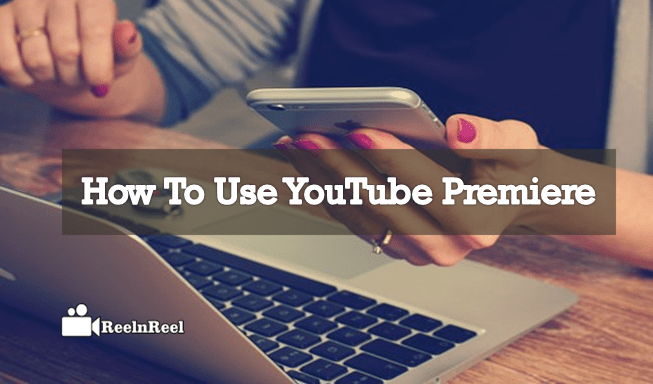 It is a complete guide for How to upload a YouTube Premiere video and tips to promote.